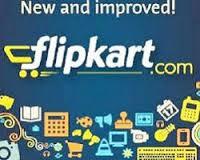 Amazon India Is Come with Subscribe and save Offer on products with Free Shipping. By Amazon Subscribe & Save Deals Coupons, Promo codes & Offers You will get upto Rs 150 Off on Amazon Products. Let’s Come to Know More about this Feature Like Available Payment method , Cancel Fees , Reviews and Much more. With subscribe and save offer of amazon you will always receive discount on top of Amazon Marketplace’s everyday low price plus free Shipping . You can save upto 25% on your entire Subscribe and Save order when you have 5 or more subscriptions scheduled for delivery to the same address on the same monthly delivery day. If you have upto 2 subscriptions scheduled for delivery on your same monthly delivery day, you will receive a discount of 5% off your entire Subscribe & Save order. So guys Subscribe amazon And get 25% off be a smart shopper. 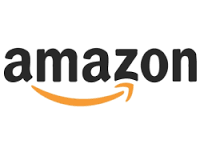 Update :- Already Amazon giving 10% off on Subscribe and save deals, Click collect 15% off coupon under price and get 15% More Discount then Pay by Pay Balance to get 5% Cashback. Free cancellation at any time. Update your Subscription products anytime. Pay by Any payment method. You will get extra 5% Discount on 1 – 2 Subscriptions Per Month. If your Subscription is more than 3 then you Can save up to 10%. Visit Amazon Subscribe and Save Offer. Set A Quantity and Schedule. Amazon automatically place your orders and deliver them to you by your monthly Subscribe & Save delivery day. If you Subscribe 1 or 2 Subscriptions You get 5% Off And If you subscribe 5 or more you will get Rs 150 off. Offer Source of amazon subscribe and save. In our home many regular products are ended in some days . And we go to shop for urgent Use and giving more money as compare to amazon because amazon is giving 10% Off . 10% is play very important role in this types of products . So amazon introducing subscribe and save offer in this offer they automatic deliver your products at your schedule time. Also you can change your subscription at any time. You can cancel also and main thing is you get free shipping on this products so you can save lots of money by this offer and so your monthly tension is over . You get products of many categories like Baby Products , Grocery Products , Personal products and so many categories . Surf Excel Easy Wash 3kg MRP 364 at selling a regular price of Rs. 324, With 1-2 subscriptions you save extra 5% and need to pay only Rs. 307. With 3 or more Subscribe & Save you save 10% and need to pay Rs. 291 only. Update Your Subscription Option at Your Convenience. Receive all your items by your monthly subscribe & save delivery day.